The vast majority of catalyzing biological processes is performed by enzymes which provide a wide variety of functions inside living organisms. They are indispensable for metabolic processes, cellular signaling and regulation and can generate movement and active transport of molecules. Enzymatic reactions specifically convert substrate molecules into chemically modified products. These modifications include proteolytic or glycolytic degradation, chemical modifications such as phosphorylation, acylation, glycosylation or oxidative and reductive processes. Dysregulated enzyme activity can lead to disease states. As a result enzymes are considered to be attractive targets for pharmacological intervention in drug therapy. Kinetic evaluation of enzyme activity and inhibition. 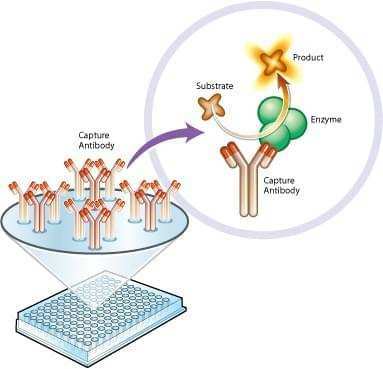 Our enzyme activity assays involve the immunocapture of the protein of interest first followed by measurement of substrate or product turnover. These employ only monoclonal antibodies that have been screened to isolate the enzyme in active form and in complexes that likely represent their associations in situ. There are many advantages. The enzyme is separated from other proteins that use or produce the same substrates or products screened and this allows for simple assays such as utilization of ATP, NADH, pyruvate and etc., which are subject to multiple reactions in vivo. For most of the enzymes for which we have activity assay kits, we also provide Sandwich ELISA assays of quantity. By combining the two, it is possible to generate specific activity data. Furthermore, because the enzyme is separated from other cellular components, the post-translational modifications (PTMs) it contains at the time of assay can be measured e.g. by subsequent mass spectrometry or reaction to PTM specific antibodies.